Photo Show Pro is Slide Show Producer with extensive Photo Sharing capabilities with Google Photos, Yahoo flickr, and Facebook Cloud services. Runs on Windows 7 or later and Macintosh. Send and receive photos and photo albums between your PC or Macintosh and Google Photos, and Yahoo flickr.. Create and save any number of Slide Shows displayed using 3 Dimensional Objects and rotational effects. 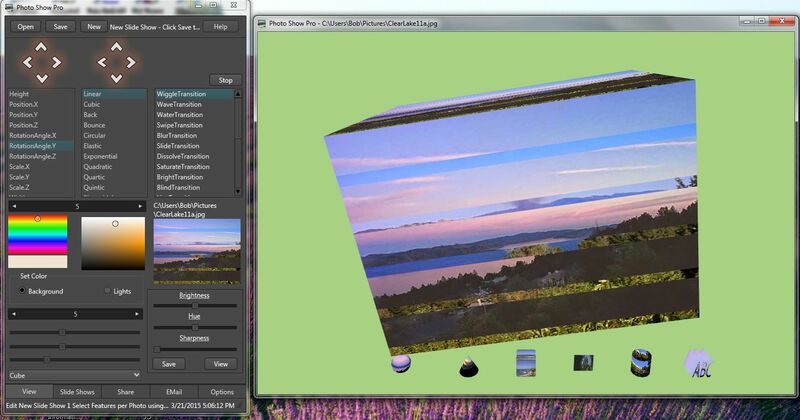 Create Transitional effects such as dissolve and fade, 3D Rotational Effects, Lighting, and background colors set per photo. 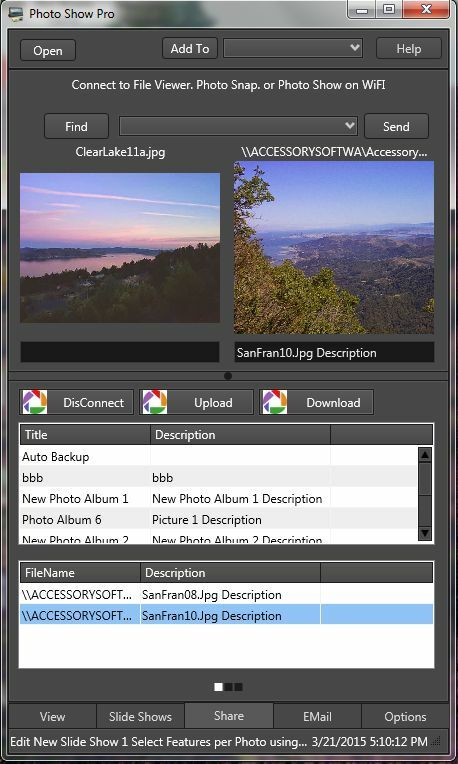 Send and Receive Photos from and to Photo Show, Photo Snap 7 and File Viewer Express 2.5 (or later) and directly from/to Google Photos, and Yahoo flickr..
Add received photos to selected Slide Shows. Complete EMail with attachments. Add EMailed photos to Slide Shows. Exchange Slide Shows with Photos and Music files by EMail or over the LAN ! Select and play music during slide shows. 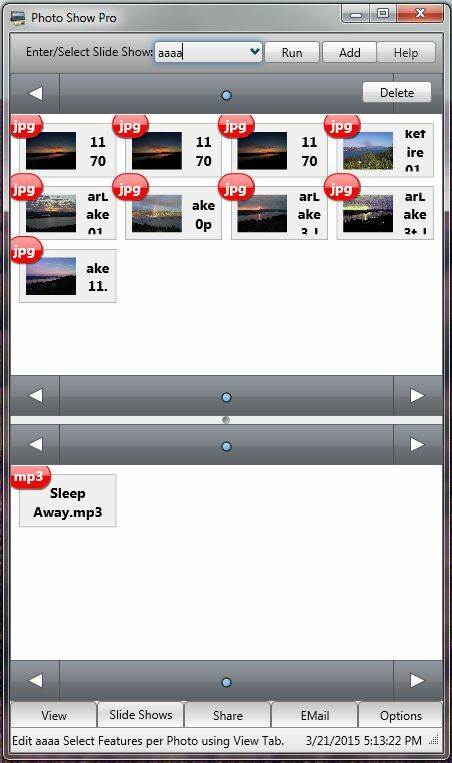 Select different styles for Photo Show Pro among other options. Share Slide Shows and Photos with Photo Snap and Photo Show Pro on the LAN or WiFi running on PCs, Macintosh, Android, iPhone and iPad !. iPhone and iPad Version !